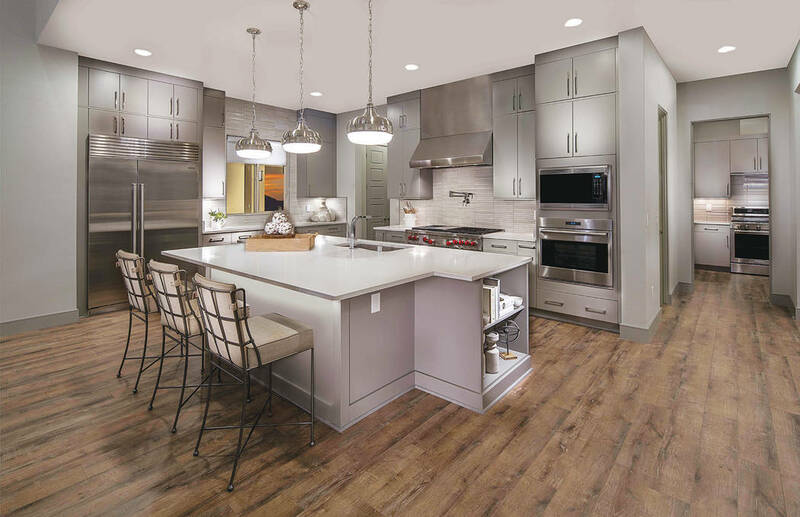 Pulte Homes won six Silver Nugget Awards led by its La Vista home that won in the single-family category and for that home’s kitchen design and interior merchandising. Pulte Homes won seven Silver Nugget Awards. 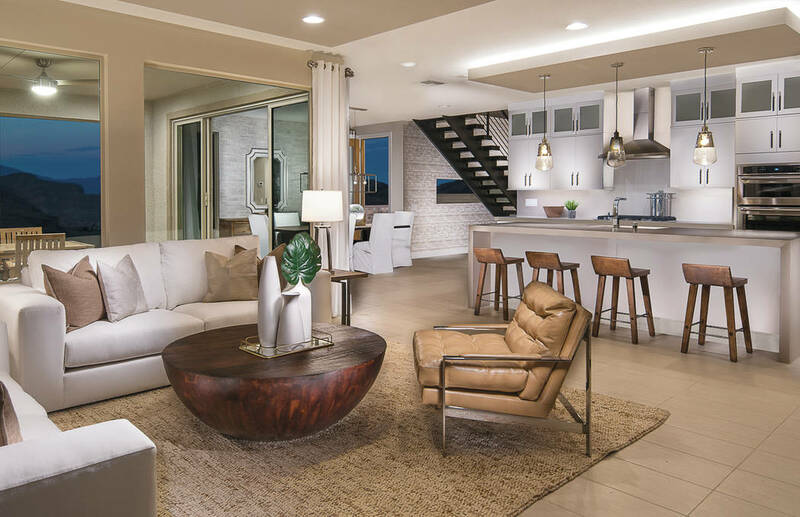 The homebuilder’s Reverence in Summerlin was named Community of the Year. And its La Vista home had a fine showing in the single-family category and for that home’s kitchen design and interior merchandising. Pulte, overall, was a finalist in 13 categories. The La Vista plan won in the single-family detached home category of $376,000 to $475,999. It’s a modern, two-story home designed for young families and has flexibility built into it that makes it popular, according to Jason Demuth, Pulte’s director of marketing. The plan starts at 2,595 square feet and has a number of bedrooms ranging from three to five. There’s even flexibility with the garage of either 2½ or three cars, Demuth said. One of the home’s elements that stands out is a large covered patio in the rear, Demuth said. One of the options is a large, outdoor balcony with a fireplace off the loft and owner’s suite on the second floor, he said. There are other options for modernizing the home from floating stairs, floating vanities, a drop-down accent ceiling with LED lighting and a waterfall kitchen island, Demuth said. 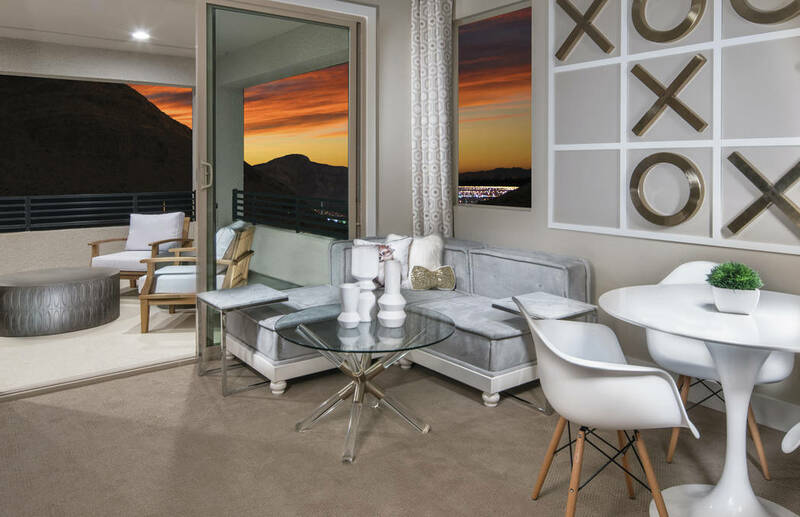 La Vista is available at its Blackrock community in Green Valley and Reverence in Summerlin. 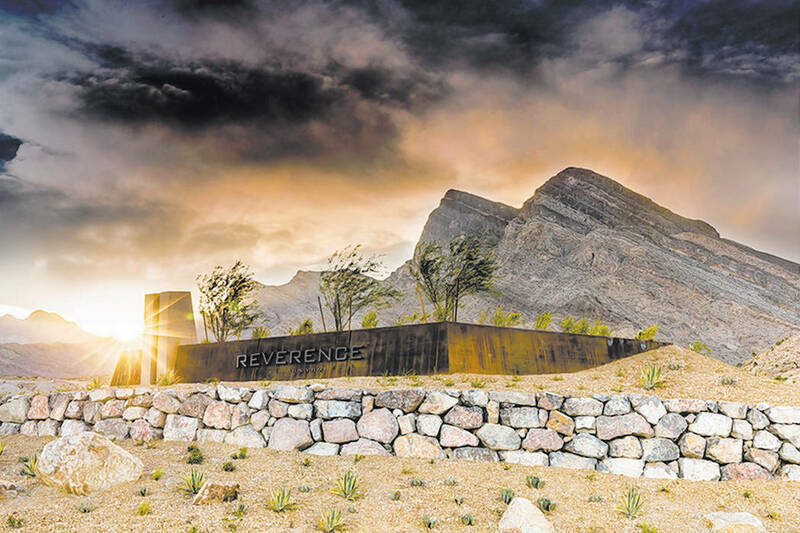 The Reverence community offers three elevation styles including desert contemporary, transition craftsman and transitional prairie, Demuth said. Some of the standard features include a den, cafe, planning center, walk-in pantry, owner’s entry, covered patio, large gathering space, loft and three bedrooms, Demuth said. The La Vista plan also won for its model home kitchen in the category of home prices of $300,001 to $500,000. Buyers can upgrade the kitchen with an optional waterfall kitchen or executive island, drop-down accent ceiling with LED lighting, hidden outlets or cabinet under lighting, stacked cabinets and a pot filler over the cooktop, Demuth said. Next to the kitchen space is the Pulte planning center, which functions as the nerve center of the home and family, he said. La Vista also won for interior merchandising for homes priced from $300,001 to $499,999. The interior design displayed in the La Vista model at Reverence was inspired by a “minimalistic modern approach that was subtly driven by Scandinavian elements,” Demuth said. Pulte also won for its model home kitchen for homes priced more than $500,000. It’s part of the Sterling plan at Reverence. The Sterling plan was designed for an affluent family with mature children with an interest in entertaining, Demuth said. The kitchen features abundant cabinet space and luxury appliance packages with multiple configurations that include chef, gourmet and pro, Demuth said. Kitchen options also include a pot filler over the cooktop, under cabinet lights and hidden outlets. An optional wet bar extends the kitchen into a large cafe that doubles as entertainment space for formal dining, Demuth said. “The most impressive feature is the complete second prep kitchen hidden behind the main kitchen featuring a full-size second fridge, sink, cooktop and countertop. You can’t get more kitchen in a production home,” Demuth said. The builder won for master bathroom for homes priced more than $500,000 for Kingsgate, its single-story estate home. Such homes require an impressive bath as a statement of luxury for the homeowner and for maximum comfort and enjoyment, Demuth said. “This is the kind of buyer that is not looking to make sacrifices, so the bath must contain all the key elements including spacious walk-in closets, separate shower and tub, large vanity with dual sinks and plenty of cabinet space and of course, wow factor size,” Demuth said. The owner’s suite spa bath within the Kingsgate model features a free-standing soaking tub grounded by a decorative tile accent that ties in with the shower. Pulte’s Karen Wellman won for sales representative of the year for homes priced more than $500,000. She sells at Reverence.